As Greece observes a period of national mourning after deadly flooding, the country’s prime minister is promising a full investigation. 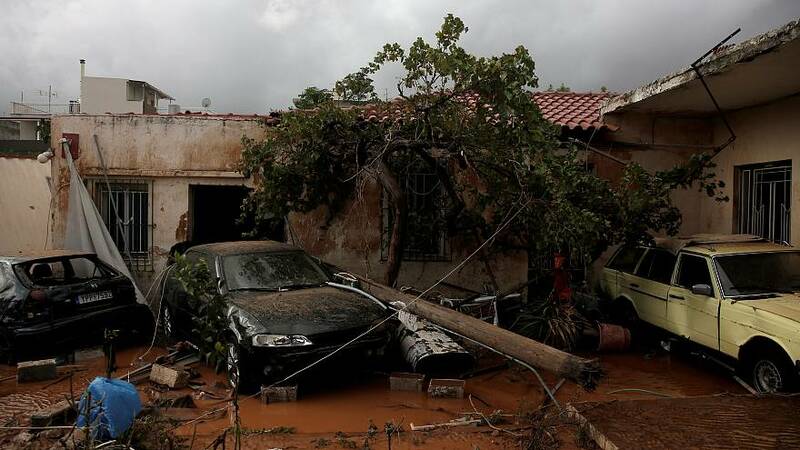 At least 15 people were killed and more than a dozen injured on the outskirts of Athens after heavy rain caused flash floods. Hundreds of homes and businesses were inundated. Prime Minister Alexis Tsipras said: “‘I want to express my deep sorrow and sincere condolences to the families of the victims. The two towns worst affected were Mandra and Nea Peramos. A prosecutor in Athens has opened a separate inquiry into the deaths, saying possible urban planning offences are also being investigated. Observers say regulations in Greece are often ignored when homes are built, with drainage systems not always up to standard.